Template for all the artistic souls out there. 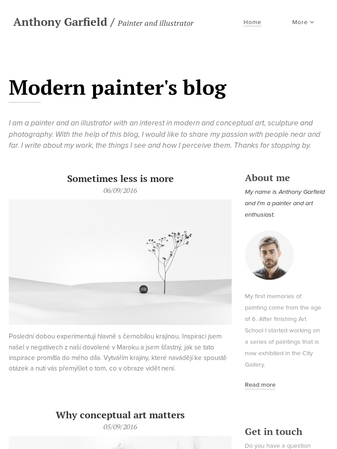 Create blog posts about art events, your own creations, fresh trends in design and all other artistic news. 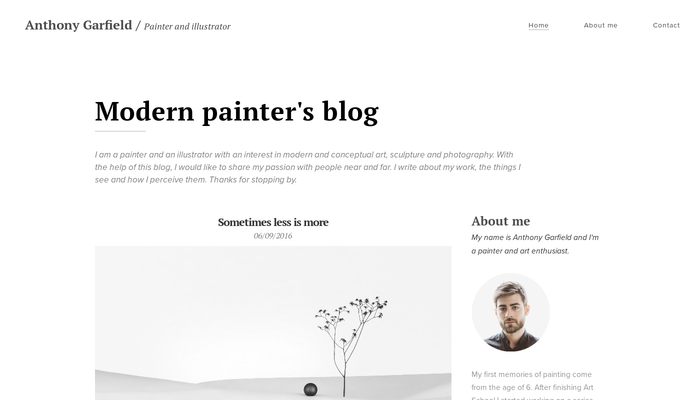 This clean design lets all the imagery shine and support your creativity. The blog posts can be added in no time, so your readers will always know what is new.